David Cate graciously allowed Katie to be hangared free of charge at Maryville Airport northwest of Cleveland, Ohio following the conclusión of our Prowlers of the Pacific show in Battle Creek, Michigan on July 1. So, on Tuesday, July 10, I was winging my way to Cleveland, Ohio to fly Katie to Springfield, Massachusetts for the Westover Air Reserve Base Air Show running from July 13, to July 15. I cannot say enough kind words about David Cate and his staff. The were courteous and profesional and treated Katie with kid gloves. To hangar Katie for nine days without compensation was extremely generous. In any case, by about 1:30 p.m. Katie was winging her way to Lock Haven, Pennsylvania, our mid-point fuel stop en route to Springfield, Massachusetts. The kindness and courtesy I received from Ed Watson in Lock Haven was extremely heartening. Ed gave me a tour of the Piper Aircraft Museum and was my guest at dinner during the overnight stay in Lock Haven. It is also worth mentioning that the William Piper Memorial Airport in Lock Haven appears in a pastoral setting bordered by the Susquehanna River and the Allegheny Mountains. Katie was airborne about 9:30 a.m. as she departed Ed Watson would later text that he observed Katie overhead the City of Lock Haven on her departure that morning. The flight from Lock Haven to Springfield took about two hours and was fairly uneventful. Arriving at Westover ARB (KCEF) at about 11:30 a.m., I was there two days before our practice day scheduled for Friday, July 13. I obtained a courtesy car and made my way to Kennebunkport, Maine to visit Jewell Helton before returning to Springfield on Thursday, July 12. West Stowers, Tony Stein and Rick Ector arrived the afternoon of July 12. We collected our credentials, passes and cars and made our way to quarters off the base for rest and dinner. It bears mentioning that the Air Boss, George Cline, was at the hotel. We discovered we were not on the Flight Schedule for the Friday practice session and quickly corrected that oversight. We departed the hotel at 7:30 a.m. for the 9:00 o’clock briefing. The traffic was terrible and we resolved to leave one-half hour earlier on Saturday. George did his normal masterful job in conducting the briefing. The biggest problem we had was time. The briefing ended about 9:45 and we were flying at 11:30. So, we had to: (1) have our credentials and aircraft inspected by the FAA, (2) pre-flight and service our aircraft, (3) taxi our aircraft from the hangars to the flightline, and (4) brief and walk through our performance. To my amazement, we actually accomplished all those tasks with a few minutes to spare. The practice show performance was a little loose and we discussed procedures to tighten up the act in the post-flight briefing. We were one of the last acts on the Schedule before the Thunderbirds during the Saturday show. Tom Malone, an anesthesiologist, joined our merry band of aviators and flew lead for the American aircraft during the Saturday and Sunday performances. Tom did a fine job accomplishing that task. I picked up the tempo of my part of the show by treating the corner markers as pylons banking sharply to accomplish my turns. This lead to the Kate passes being accomplished more quickly, and to the spectacle before the crowd being more exciting as the Kate would bank sharply after passing the crowd making the action more exciting for the audience. At the conclusión of our Saturday performance just as we shut down our engines, a man in the audience yelled “beautiful” and the audience broke into applause. That was a very thrilling and exciting moment. In all my years of air show flying, it was the first time I heard a crowd applaud an air show performance. Our preparation for the Sunday performance was punctuated by concerns over a line of rain showers moving through Central Pennsylvania and how they might affect our departures to the southwest. The Sunday performance mirrored that of Saturday, except Tom Malone in the Avenger, Wes Stowers in the Corsair and yours truly in the Kate all departed the show from the air. I could hear Wes and Tom on the frequency of Bradley Departure as I turned southwest toward Reading, Pennsylvania. With the exception of a thunderstorm I was easily able to circumnavigate the flight, the flight to Reading was uneventful. I had dinner at Klinger’s Restaurant in the Reading Airport Terminal and stayed overnight in Reading Sunday evening. Monday morning, I flew from Reading to Farmville, Virginia and Shelby, North Carolina on Monday before a line of thunderstorms stretching from Columbia, South Carolina upward towards Hickory, North Carolina required that I overnight in Shelby, North Carolina. Jack Poole at the fixed base operator was extremely courteous during my stay in Shelby. I borrowed the courtesy car, drove through the town of Shelby and enjoyed some warm North Carolina hospitality. Tuesday morning dawned overcast with good visibility. Because the forecast called for thunderstorms in the early afternoon, the order of the day was to get airborne as soon as safely feasible. After departure, breaks in the overcast permitted a VFR climb to a 4,500 foot broken cloud deck that eventually became scattered. I touched down at Falcon Field about 12:30 p.m., gratetful to be home. The performance at Westover ARB marked the end of an aerial oddesy that began in June with the performance in Greenwood Lake, New Jersey. That performance was followed by the show in Battle Creek, Michigan that ended July 1. This adventure led to meeting some wonderful people along the way not only at the air shows, but also in New Castle Pennsylvania; Marysville, Ohio; Lock Haven, Pennsylvania; Reading, Pennsylvania; and Shelby, North Carolina. The summer of 2018 was an exciting time involving a lot of flying both to and from the air shows and in the air shows. 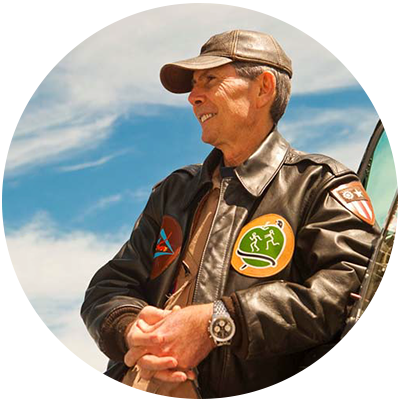 In the years to come, the summer of 2018 will remain a memorable and rewarding time in my career as an air show pilot.